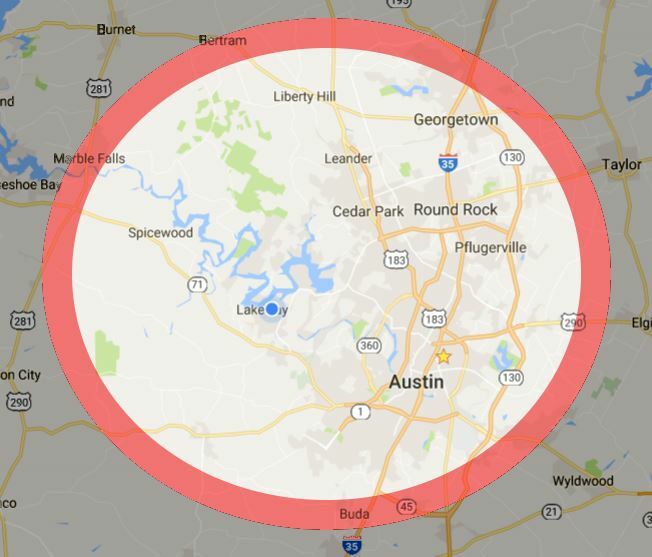 The majority of my clients are right here in the metro Austin area, so basically if you live inside that red circle, I’ll come to you. My immediate neighborhoods are Oak Hill, Westlake, Lakeway, Bee Cave, Steiner Ranch and I can often come to you the same day. I often am going to Liberty Hill, Driftwood, Lago Vista, Cedar Park, Round Rock and Spicewood.